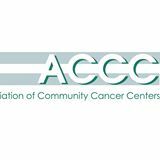 ACCC webinars provide the convenience of live and on-demand online learning from an esteemed group of presenters. Q&A discussions enable knowledge sharing and the exchange of ideas. There are non at this time.